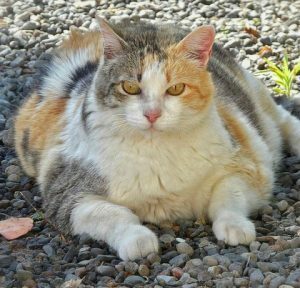 I often come across cats whose coats are in poor condition because they are unable to reach their backs and rear parts because they are overweight. 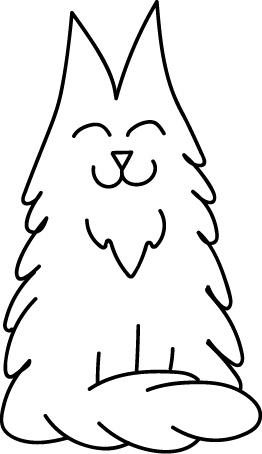 they need regular grooming from a professional cat groomer to prevent mats forming and to keep their fur conditioned. Owners ideally should also help with combing between professional grooms. I always advise owners to have their overweight cats checked by the Vet who may recommend a diet to help with weight reduction which in turn should encourage them to start grooming themselves once they can begin to reach their back areas. Exercise can always help too. You may need to encourage a very inactive cat to start playing interactively with you. This entry was posted in Caring for Your Cat and tagged overweight cats.